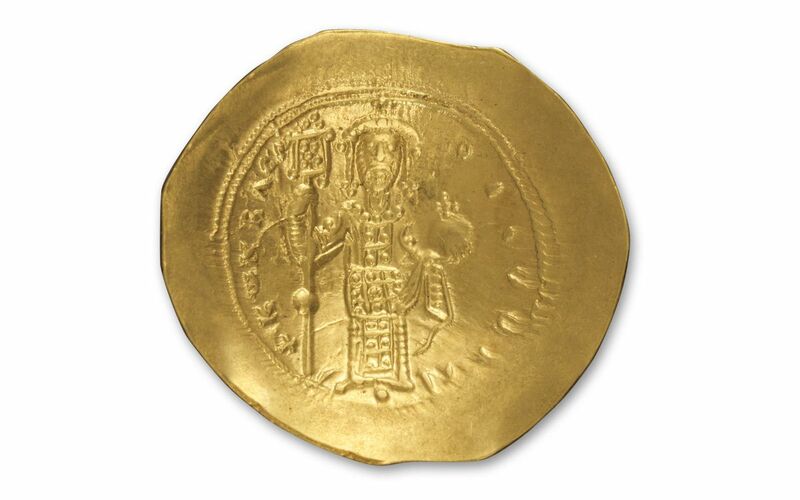 An Ancient, Hand-Struck Constantine X Gold Nomisma! 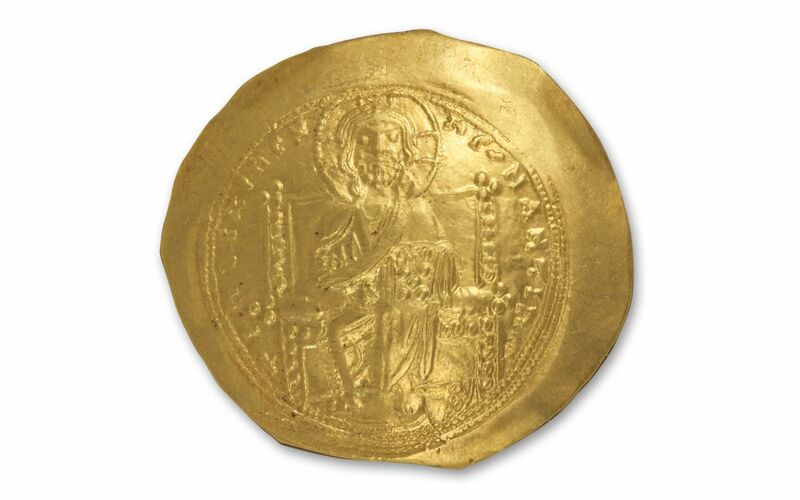 From the 8th through the 12th century, the hand-struck gold coins of the Byzantine Empire featured a portrait of Jesus wearing a "cross numbus" -- a cross within a halo. These coins were struck during the reign of Emperor Constantine X, a ruler famous for cutting support to his military in favor of the church and court, leading to losses of territory in Italy and Armenia. Each of these coins is more than 1,000 years old, and displays the importance of Christianity in everyday life. 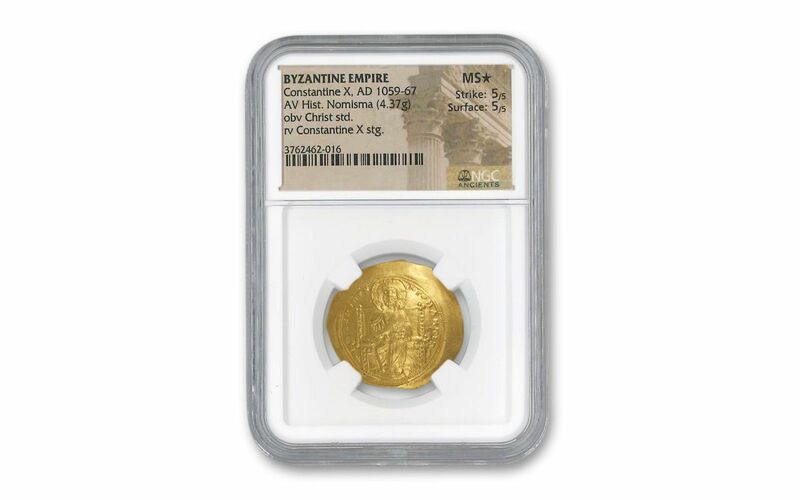 They feature Jesus on the obverse and Constantine on the reverse, and come graded by Numismatic Guaranty Corporation (NGC) as Mint State (MS) with a special star designation. 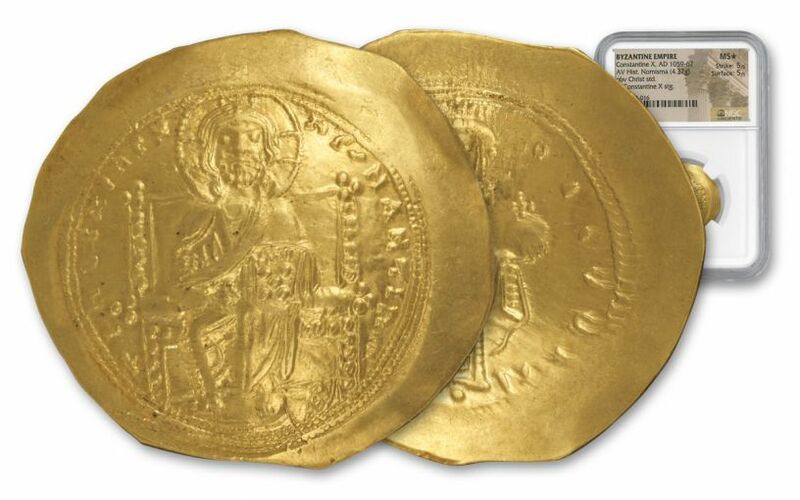 Only one is available, so act now and own a piece of ancient Christian history!